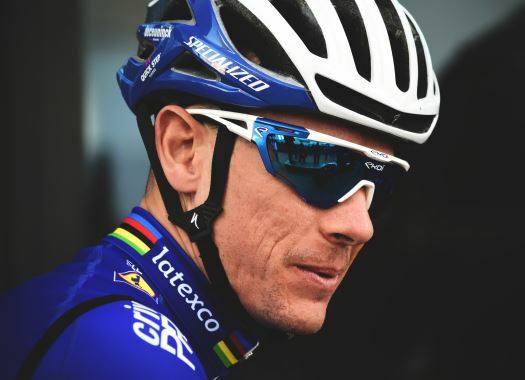 With his victory in Paris-Roubaix, Philippe Gilbert not only became the ninth rider to have won at least four different monuments but also completed the 700th win for Deceuninck-Quick-Step. The Belgian rider fought the entire race to be in the front and was there in all the important moves that were made throughout the course. When Nils Politt (Katusha-Alpecin) decided to launch an attack in the last part of the race, the Belgian stayed at his wheel and worked hard enough to arrive in front to the Velodrome of Roubaix. Gilbert was also the one to launch the final sprint, with a strength that couldn't be matched by the German rider. "I am extremely happy! I was disappointed after Flanders, but in the week leading to Roubaix I returned to training and focused on Roubaix," he explained. "I came into the race with pressure, because I was very motivated to overcome what had happened last Sunday and go for the win, especially as I felt that I had good legs. It's hard to believe what I've done today, it's something really special and it will take a few days to realise what has happened and what I've achieved. "I knew that joining Deceuninck-Quick-Step would be an important step in my career and I am really happy and proud that I'm a member of the Wolfpack. I am the kind of rider who likes new challenges, this motivates me, and here I found plenty of these: from winning Ronde or Roubaix to winning Isbergues, which was a race that was missing from my palmares. That's why after today and the celebration we will have this evening, I will reset my mind and focus on the Ardennes Classics, where I hope that the squad's formidable spring will continue."